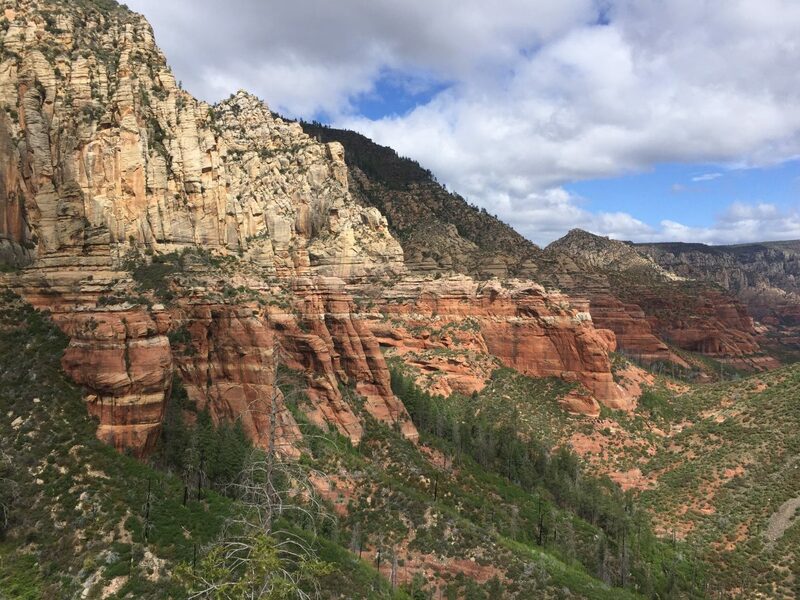 Life Rebooted – Sedona – A whole new world of hiking! Life Rebooted – Sedona – A whole new world of hiking! While we’ve done some great hikes (Glacier National Park comes to mind), Sedona is in a class of its own! Everyone we talk to, and I do mean everyone, who has been to Sedona raves about how beautiful and wonderful it is so we were looking forward to our visit. After being here, we can see why it’s so well-loved. 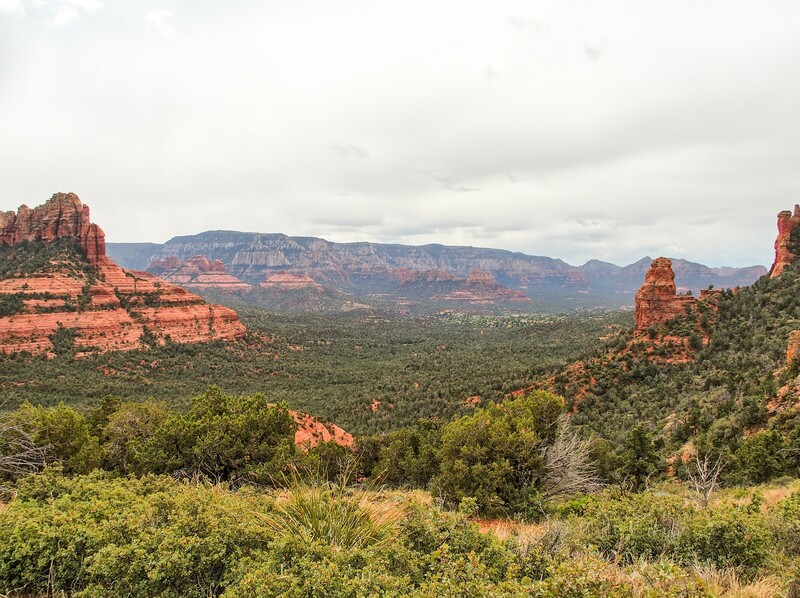 Sedona is surrounded by red sandstone formations making for some beautiful scenery no matter where you are. 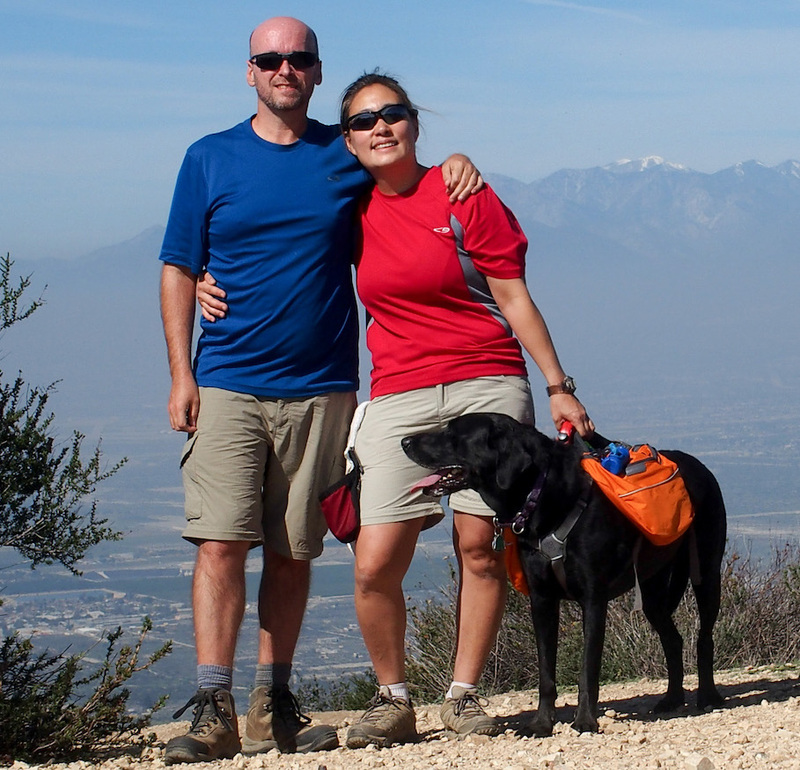 There are trails everywhere and they all appear to be dog-friendly (a HUGE plus for us). We decided to stay in town at Rancho Sedona RV Park for the convenience. 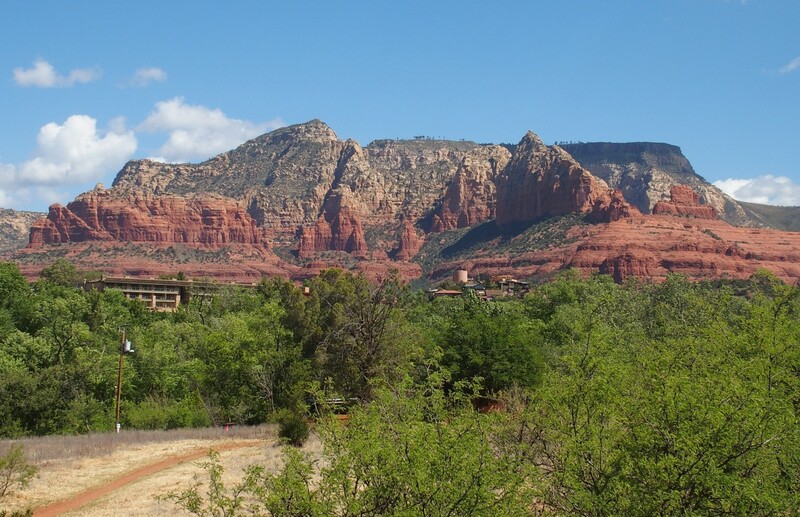 While a bit costly, it is a great location and made it easy for us to get to various areas in and around Sedona. We thought of boondocking outside of town, but Sedona was expecting hot weather and Opie just can’t handle it when it’s too hot inside Rover (and we wouldn’t be running the air conditioners with no electric hookup). Viewing Sedona from the Airport Road overlook. We started off by driving around Sedona to get a better idea of the area, using an online self-guided driving tour as a reference guide. Even if you don’t want to do any hiking, there are a lot of great spots to drive around and take some gorgeous photos. 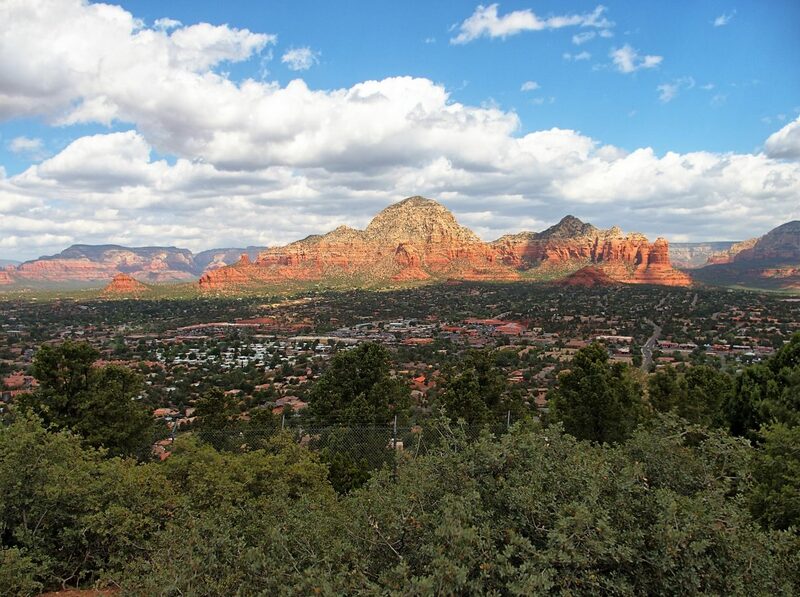 Take Airport Rd up to Airport Mesa for breathtaking viewpoints of Sedona and its various rock formations. Also drive on Dry Creek Rd for some close-up views of Boynton Canyon. Or drive through Village of Oak Creek and take some photos of Bell Rock. We decided to tackle Wilson Mountain as our first hike (go big or go home!). 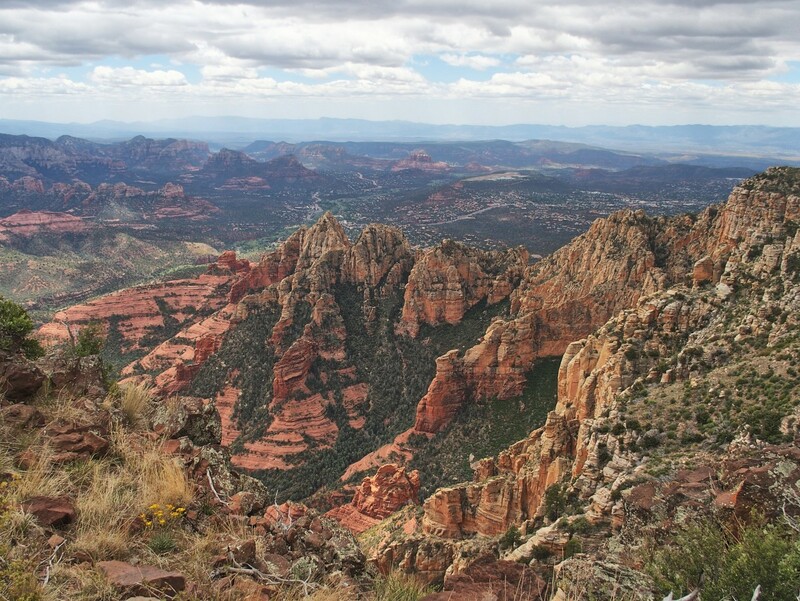 At over 7,100 feet, Wilson Mountain is the highest of the sandstone peaks around Sedona. The hike is rated as difficult due to distance (7-10 miles round trip) and elevation gain (2300 ft). There are two trailheads that merge at the first plateau/bench and continue to the top: the Wilson Mountain Trail and the North Wilson Mountain Trail (located about 3.5 miles north of the Wilson Mountain Trailhead). After some research, we decided to tackle the N. Wilson trail. N. Wilson offers forest shade for the first mile and it is a mile shorter than Wilson Mountain Trail but it’s also more steep and one section of the trail is covered in tennis ball-sized loose debris making for a tricky ascent (and even trickier descent). Pausing to enjoy the view halfway to the first plateau. The beginning of the hike is peaceful, easy, and shady but the trail gets steep quick! Elevation gain from the trailhead to the plateau summit is a total of 2,300 feet, but 1,500 feet of that are in the first 1.4 miles. There was a lot of huffing and puffing from both of us (Opie excluded) until we made it to the first plateau, where we took our lunch break and just quietly enjoyed the view. Once at the top of the second plateau we turned south towards the Sedona Overlook. You can also head north and view Oak Canyon but that is another 1.7 miles one-way and we decided against it. 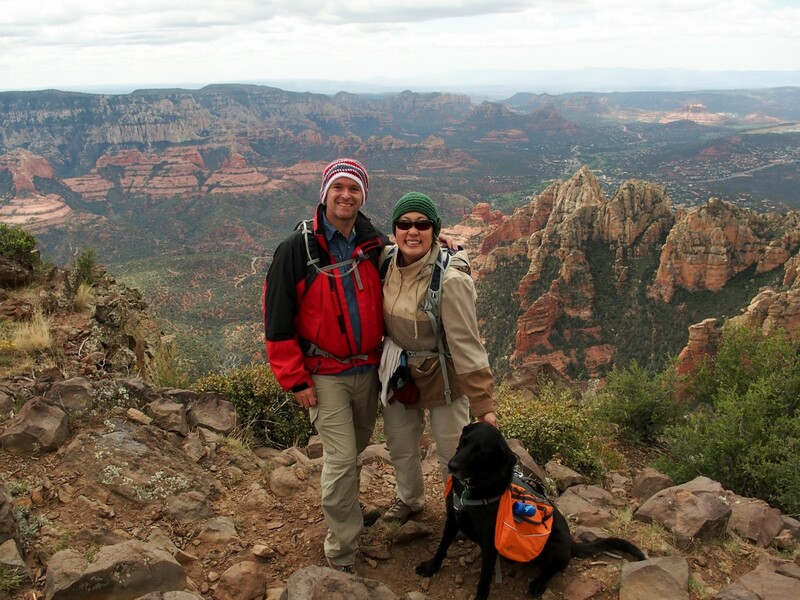 The steep hike is definitely worth the amazing panorama of Sedona but you really need to be prepared. We were grateful that the day was cool and overcast, otherwise it would have been a miserable hike in full sun. We brought plenty of water, food, and snacks and made sure Opie also had enough water and food. Due to the high elevation (trail starts at 4,700 ft and ends at 7,100 ft), we sporadically felt light-headed during the climb and took frequent short breaks to catch our breath. In our opinion, hiking poles are a must in descending the debris-covered N. Wilson trail. Even with poles, we did the slip n’ slide several times and I fell a few times. For reference, we would consider ourselves “advanced beginner” hikers and we were able to complete the hike in 4.5 hours (not including our lunch or summit break). It’s not for the faint of heart, but if you like hiking and come prepared, it’s a good one to try. One other fun fact: our destination on Mount Wilson was clearly visible from our campground! In the photo below you can just make out the trees on the top of the plateau… that’s where we were standing in the photo above when looking down on Sedona! Looking up at Mount Wilson’s plateau from our RV Park. After our hike, we decided to take it easy for a couple of days; actually our bodies dictated that we really should rest. We took Opie to the Sedona Dog park where he spent more time just playing fetch than socializing. I guess Opie can’t be a social butterfly every time. We also did some window shopping around Uptown Sedona and had lunch with some RV friends and just soaked up the Sedona ambience. 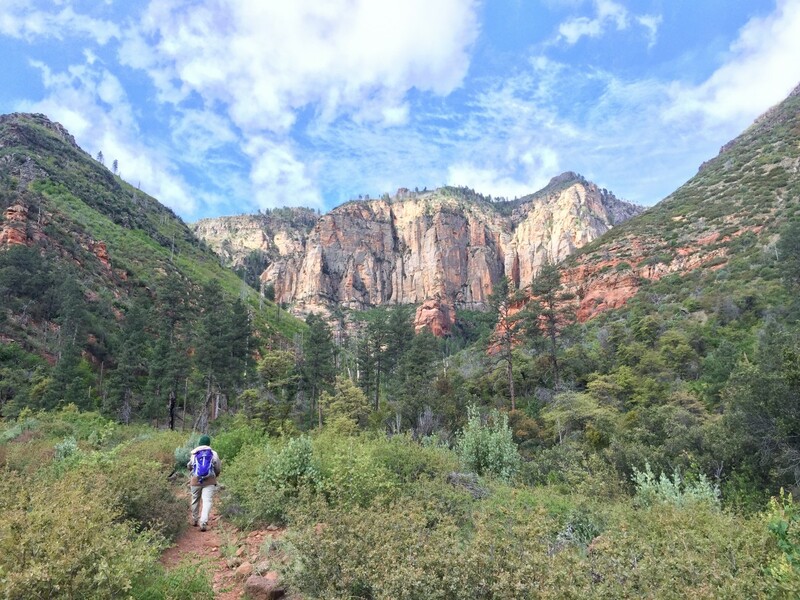 During our research, the West Fork trail hike kept popping up as a great one to do. 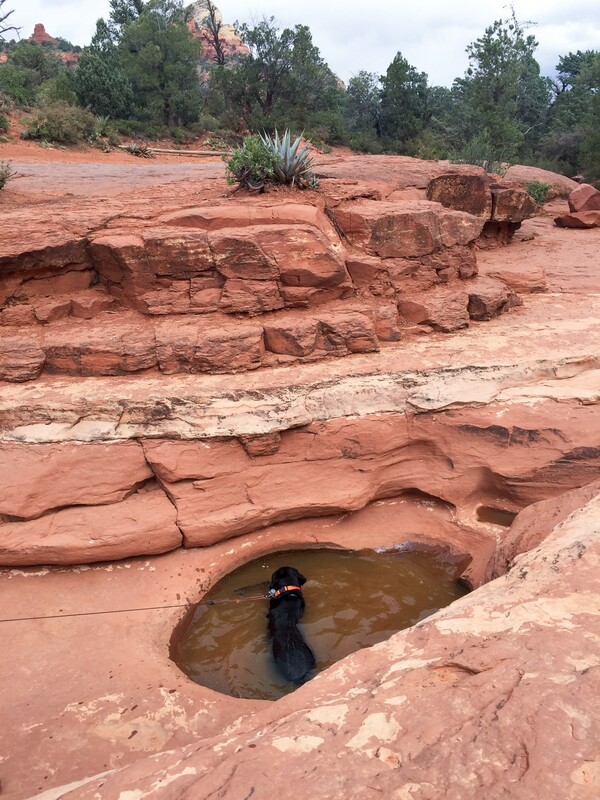 It’s easy, flat, crosses a stream multiple times (perfect for the crazy water dog), has great views of the canyons, and is shady. West Fork trail is further north and unfortunately got hit with a lot of rain on the day we wanted to hike it so we adjusted our plans to hike Soldier Pass/Brin’s Mesa right inside Sedona instead. Looking into the Devil’s Kitchen sinkhole. Soldier Pass/Brin’s Mesa trail provides a diverse experience if you’re looking for something a little different. Soldier Pass to Brin’s Mesa to Cibola Pass is a five mile loop with 1,600 ft elevation gain. Shortly after starting the hike, the Devil’s Kitchen sinkhole (one of seven sinkholes around Sedona) opens up on the right side. Devil’s Kitchen originally collapsed in 1880, then again in 1989 and 1995. When it originally collapsed, dust continued to puff out of the sinkhole for several days, earning it the name Devil’s Kitchen. Opie cooling off in one of the sacred pools. Shortly after Devil’s Kitchen are the Seven Sacred Pools, a series of pools naturally carved out of the sandstone. When we visited the pools, they were full of stagnant water from prior rains. Opie didn’t mind and loved soaking in it. During the rainy season, I’m sure they must look beautiful with flowing waterfalls. On the way up to Brin’s Mesa, there are some natural arches/caves on the right side and the views open up beautifully when Soldier’s Pass meets Brin’s Mesa. Before our descent, there are some pretty views of the town and the surrounding sandstone formations. The view from Brin’s Mesa. We liked the variety of this trail. It’s popular so it’s well-marked, wide, and well-maintained. It’s an easy trail that stays pretty busy. Not only do you get some great views, but there’s a sinkhole, pools, arches, and shady trees. There are even parts of the trail open to 4WD vehicles and we saw a couple jeeps carefully making their way along rocky parts of the trail. 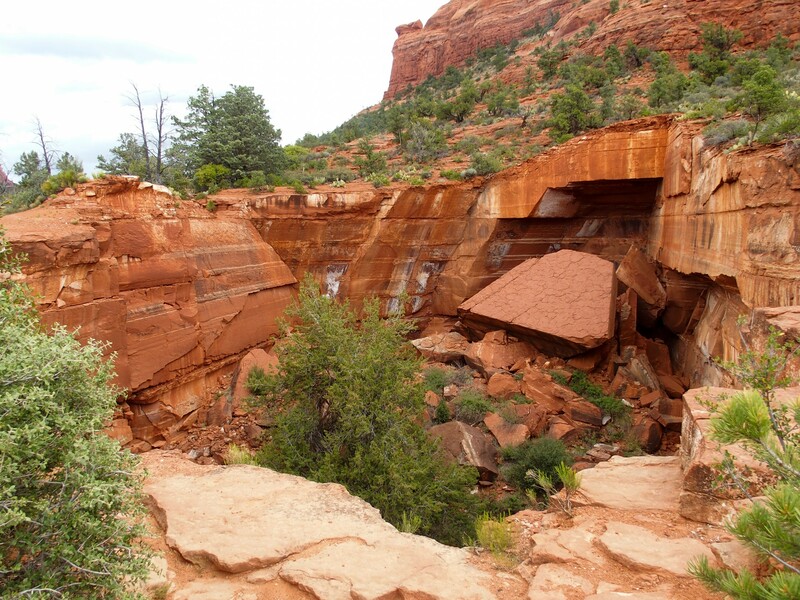 There are so many trails in Sedona and many have their own special features. We’ve decided we need to come back to Sedona when it’s a little cooler. 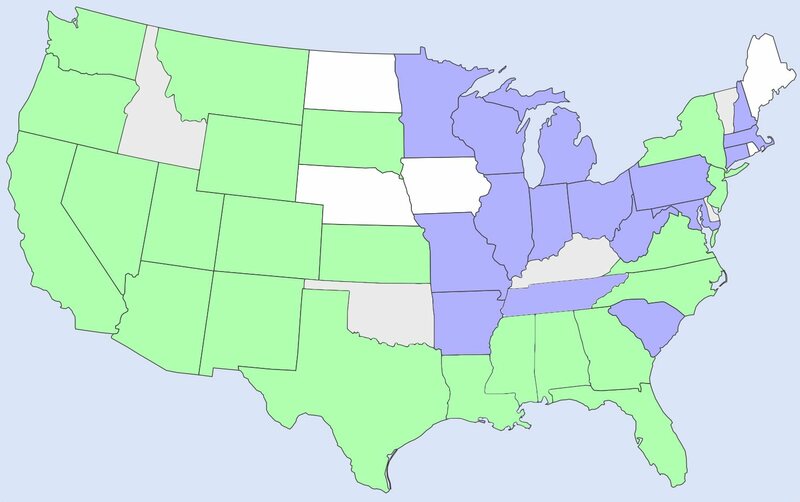 That will allow us to boondock and try even more hikes in the area. Still on my hiking list are: West Fork Trail, Devil’s Bridge Trail, Boynton Canyon Trail, and Fay Canyon. 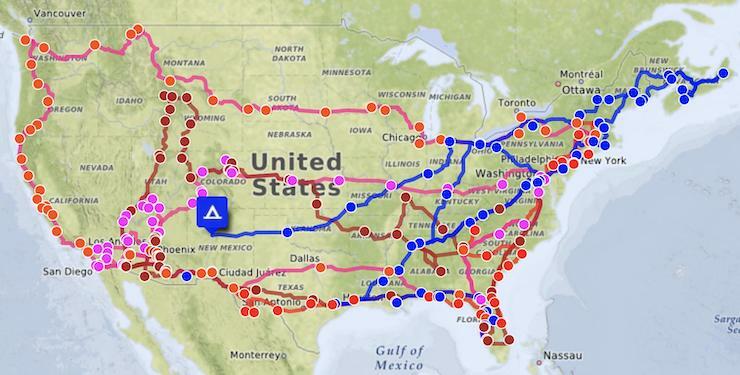 I’d love to hear about some other trails we should try! Great pictures! Looks like a great, challenging hike. Thanks! It was challenging for us, I think others who are more avid hikers could handle it ok. The views are outstanding though and we were glad to do it. Course there are so many other great trails in Sedona with amazing views that it’s a great place to visit, no matter what level hiker you are. Wow. Those hikes are no joke! I think we’ll have to get in much better shape before we even attempt something like that! Gorgeous photos! Can’t wait to see it ourselves! Oh, we’re not in good shape at all. :) Way too much junk food for us. We just enjoy hiking and don’t mind taking it slow. 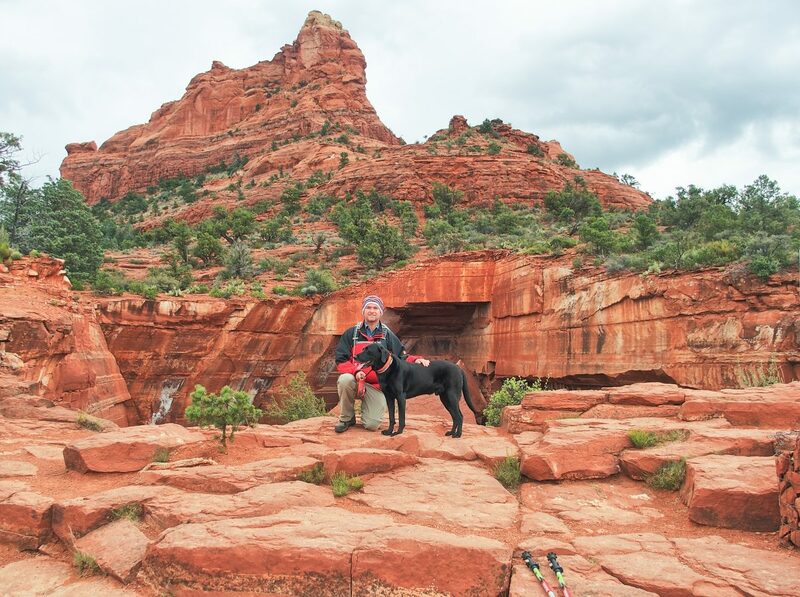 There are so many amazing trails here though, so you and Kevin would have a blast in Sedona (and it’s a great place to tire Dixie out). Definitely a must-do for your list (as long as the weather isn’t too hot). Exactly, pictures or it never happened. :-P Wilson was challenging for us, but I have a feeling that you and Eric could do it pretty easily. :) I think the two of you would love Sedona and all the hiking trails available. When you make it back there, you’ll need to blog it so I can see which trails you decided to do.